Mystic Castanets by YummyBeats.com is Soundware (e.g. samples or presets that load into other products). 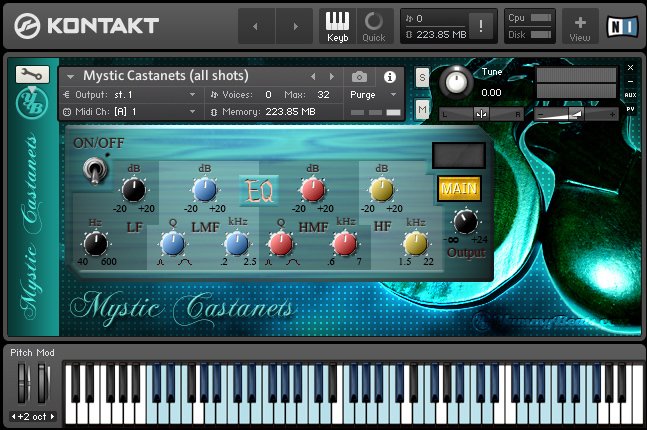 The Vintage Castanets have been resampled & post processed with sparkling psychedelic FX to achieve a hypnotic and mystic sounding which is great for Atmospheres, Soundscapes and Soundtracks but also for modern and artful Pop productions. 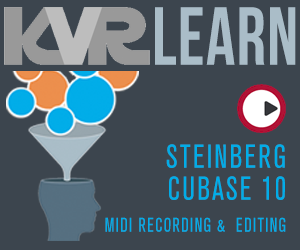 The Castanets have been recorded in numerous ways of playing and with the Vintage switch and an extra EQ section you can modify the sounding. The "Autopan" switch lets you randomize the stereo position which gives additional psychedelic depth. "Vintage" switch to add a slight velvet touch. "Autopan" switch to randomize stereo position. all Castanets recorded in wav 24-bit, 48 kHz. 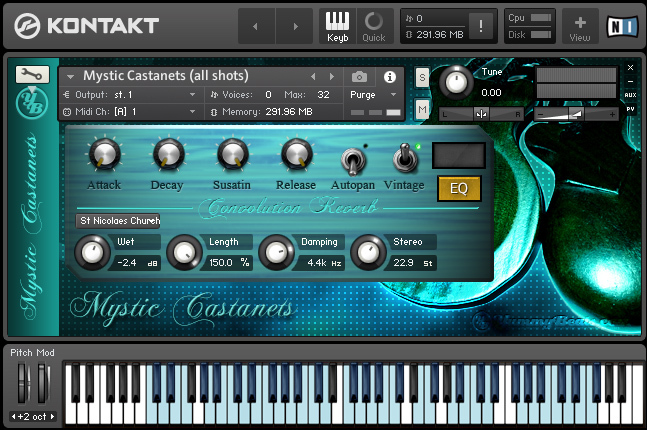 Kontakt 5 or later (full version) required. OS X 10.9.0 (or later) / Win 7 / Win 8.